This item is made in Sanford, NC. This is a metallized silver shielding bag for Electrostatic Discharge (ESD) sensitive components. 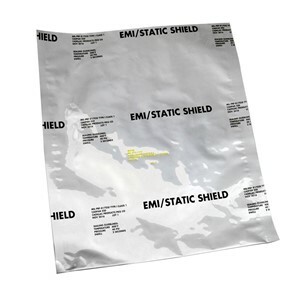 These bags are Electromagnetic Interference (EMI) shielding bags for components sensitive to electromagnetic signals.